Celebrate WRL's 95th Anniversary with this limited edition, union-made button! 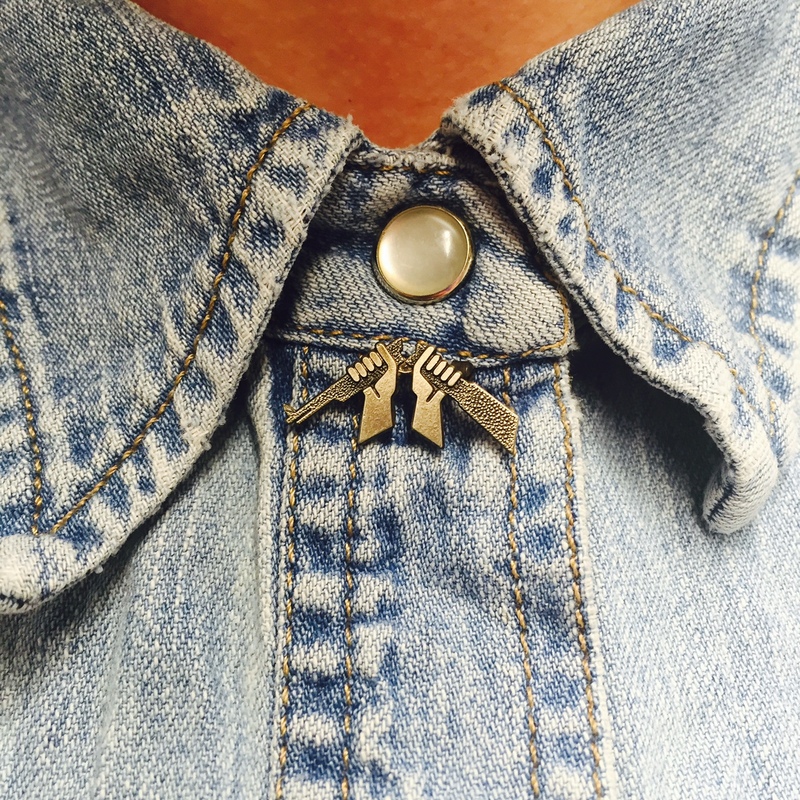 Measuring at about 1.5", this button can fit on any jean jacket, backpack, or tote bag! 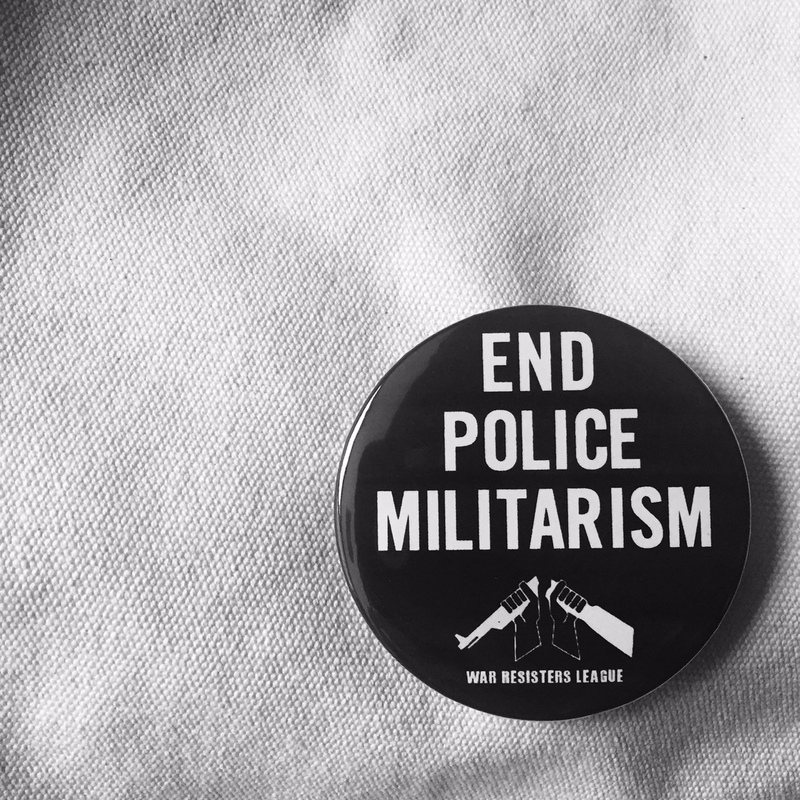 Limited edition button produced by WRL's own Vicki Rovere for our national campaign against police militarism. 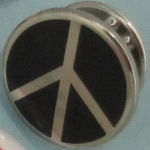 A small jewelry pin featuring a peace sign inlaid in metal on a black ceramic background. 5/8" round nickel with clutch-pin backing. 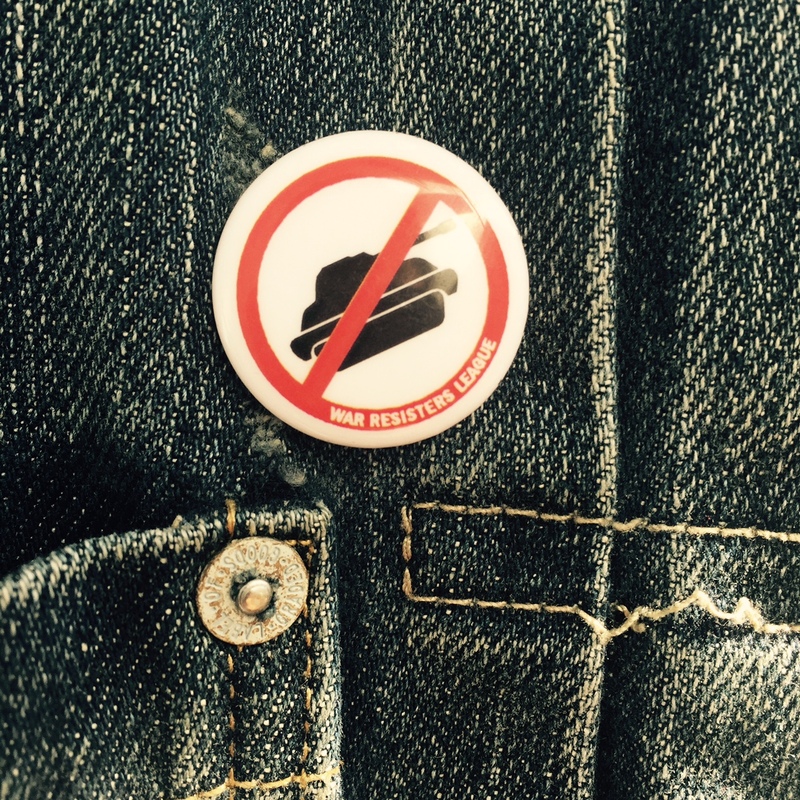 Button with a design of a Tank inside the No symbol (circle with a diagonal line through). 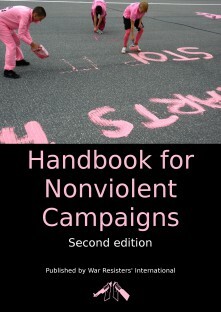 Button with a design of a Bomb inside the No symbol (circle with a diagonal line through). 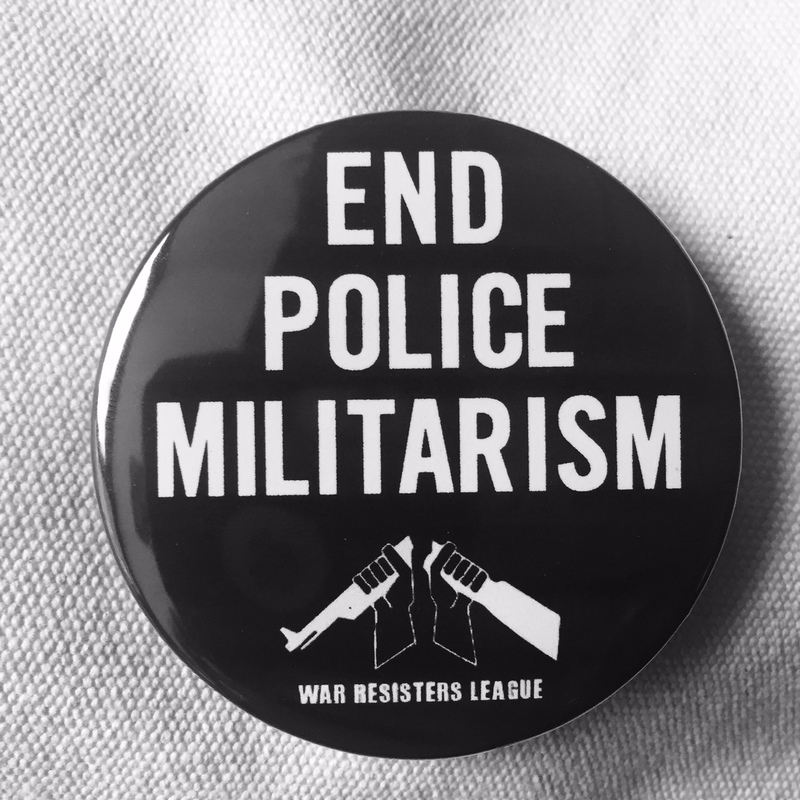 Button with a design of the War Resisters League Logo. 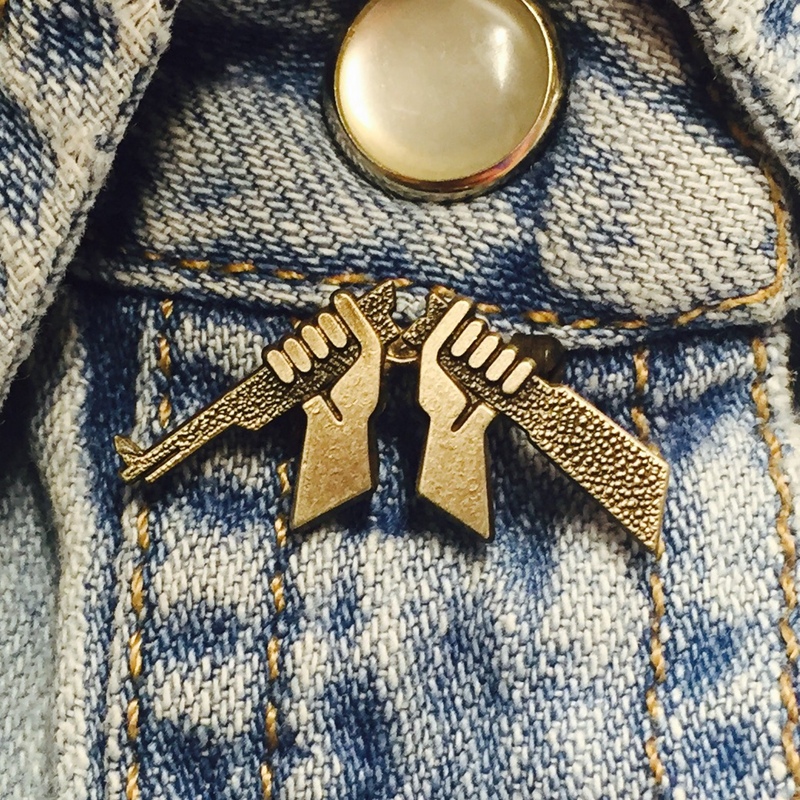 A small jewelry pin in antique-finished silver metal featuring WRL's Broken Rifle Logo. 1" long with jeweler's bar attachment backing. Button with a design of a Bomb with a Star inside the No symbol (circle with a diagonal line through).